Only a stone’s throw away, there are little and larger skiing areas, there is something for every taste. The nearest skiing area of Appiano is located at the Mendola in Ruffré. It is above all perfect for families. Those who seek varied slopes are recommended to visit the skiing area of Obereggen, or the skiing area of Passo d’Oclini, both located at the Regglberg. 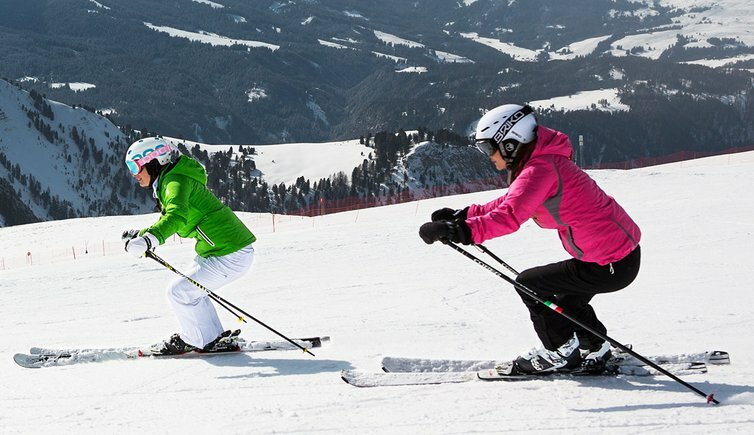 The skiing area of Alpe di Siusi can be reached within one hour, Merano 2000, the Val Passiria, Val Pusteria and Val Senales are a little farther away, but not more than a two-hours car drive. So in the morning you can choose whether to spend a calm day or a day on the slopes of a larger skiing area, a little distance away.